Located across both sides of the Rhine river, the West German city of Cologne city is brimming with architecture, history and traditional culture. The City features hundreds of galleries and almost forty museums, presenting a range of exciting exhibitions and shows from Roman archaeology to modern art and sculpture; you’ll find there’s a myriad of things to do in Cologne. The first thing that you will probably notice is that the skyline of Cologne is dominated by the huge twin spires of Germany’s largest cathedral – the grand Kolner Dom. This massive gothic church took well over 600 years to build, and is complete with beautiful stained-glass windows and delicately decorated towers that simply must be seen to be believed. Inside the cathedral you can admire the beautiful art and treasures as well as discover the Shrine of the Three Kings, and the story it holds. If you’ve got some energy to burn, you can clamber 509 steps up the south tower to be rewarded with stunning panoramic views of the city. Near to the cathedral, you can gain a great insight into the rich Roman heritage of the city. The ancient settlement includes remnants of Roman walls, wells and arches and is also home to the Romisch-Germanisches Museum, which exhibits the fantastic Roman history of Cologne, including mosaics, sculptures and ruins which were found along the Rhine River. If you’ve worked up an appetite, and you fancy a more modern museum visit, you should try out the Schokoladenmuseum where you can learn about the art and history of chocolate making as well as getting to sample plenty of treats along the way. It is well worth exploring the traditional neighbourhood quarters (Veedels) of Cologne, where you will find plenty of independent designers and traders, offering books, crafts, gifts and food. The Artclub can be found nearby, where you can enjoy contemporary art and original, independent films. The traditional dish ‘Himmel und Erde’ (heaven and earth) is a favourite amongst the people of Cologne. It features apples (from the sky) baked with mashed potatoes (from the earth), this is often served alongside local sausage meat. Whilst you are in Cologne, you should be sure to try its special unique, brewed beer – Kolsch. This light ale is served tall and is only ever brewed in one of 24 breweries in the city of Cologne. The New York Times (2007) claimed that “Drinking a Kolsch is more than drinking a beer; it’s like drinking an entire culture”. You can enjoy this beverage in one of the city’s best bars such as the busy and bustling Paffgen bar which serves it all day and all night. Alternatively, if you are looking to enjoy your drink in a more chilled out environment then check out the Biergarten Rathenauplatz, this community-lead, green nature garden offers al-fresco beers and snacks under the trees. Carnival season kicks off in Cologne on 11th November at 11.11am and finishes on Ash Wednesday. This is a brilliant time to visit Cologne because when you hear local residents cheering “Kölle alaaf”, the mad fun begins! This name translates to mean ‘completely crazy’ and the streets become just that, with parties and celebrations breaking out across the whole city. The shops, restaurants and bars stay open much later than usual for the entire festival season, so you have plenty of available hubs to hang-out in and there’s lots of things going on to keep you occupied. If you wish to experience this unique and cheery vibrance at any other time of year, then you should visit one of Cologne’s classic and homely bars in the areas surrounding the Alter Markt and Heumarkt square or one of the large brewery taverns scattered throughout the old quarter where the Kolsch is always flowing. The particularly attractive thing about visiting Cologne is that you really don’t need much spending money to enjoy the culture. With an abundance of bridges, gardens, parks and architecture to see, all you really need is a good sense of adventure. 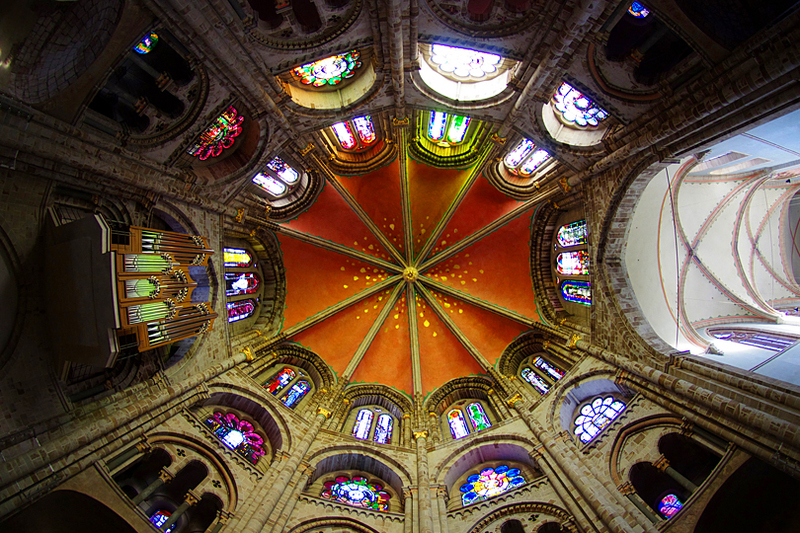 above: St. Gereon’s Basilica, courtesy of Sarah Richter, Creative Commons. 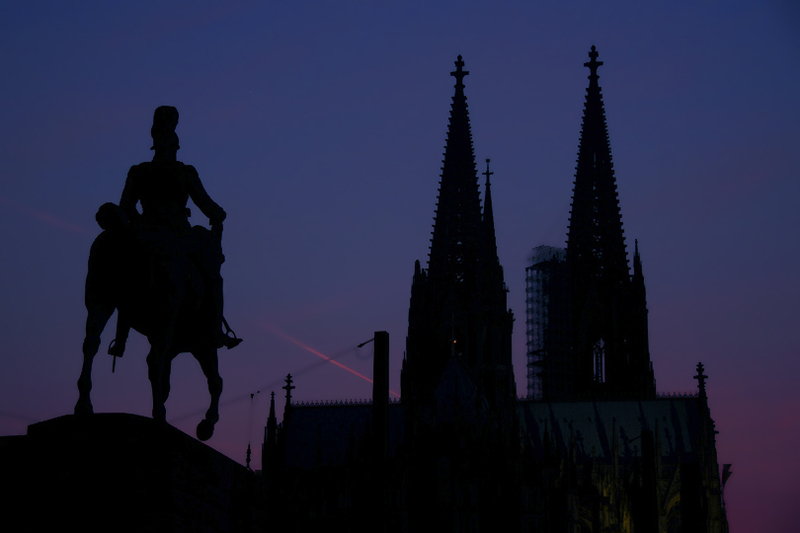 featured image: Cologne Cathedral and Hohenzollern Bridge, courtesy of Sainath K M, Creative Commons. Written by Alex Harbour, on behalf of Avalon Waterways, specialist in first class river cruising experiences in Europe and Worldwide. I’m so sad I missed Cologne when I was in Germany this year. Next time! Thanks for this great city guide. The first shot of the bridge and the cathedral is fantastic. Sounds like there is a lot to do in Cologne, including trying the beer!